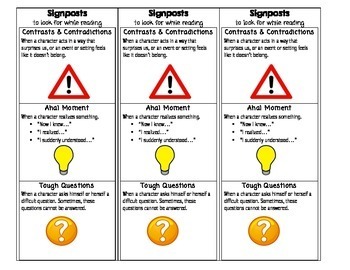 Notice & Note Signposts - Bookmarks & More! If you haven't read "Notice & Note" by Beers & Probst, you must get your hands on a copy! 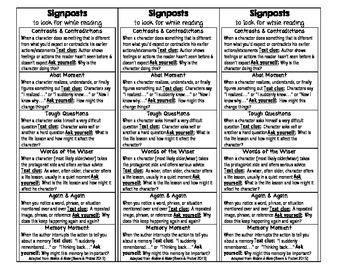 "Notice and Note" makes close reading easy! 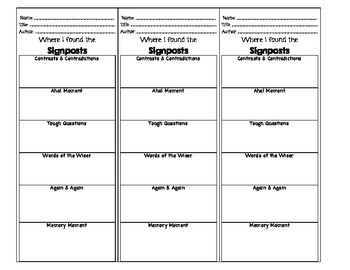 Use this resource to teach your students the 6 signposts (contrasts & contradictions, aha! moment, tough questions, words of the wiser, again & again, and memory moment)! 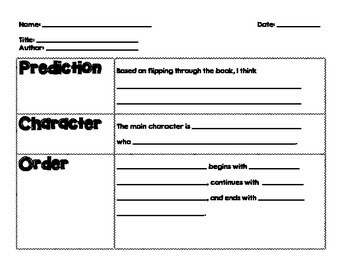 Included in this pack are easy-to-follow bookmarks, bookmarks for students to fill in information on their own, and a guide for students to fill out when they read a book (including: prediction, character, order, problem/solution, connection, & cause/effect).